So you are looking for a stylish band for your Apple Watch? 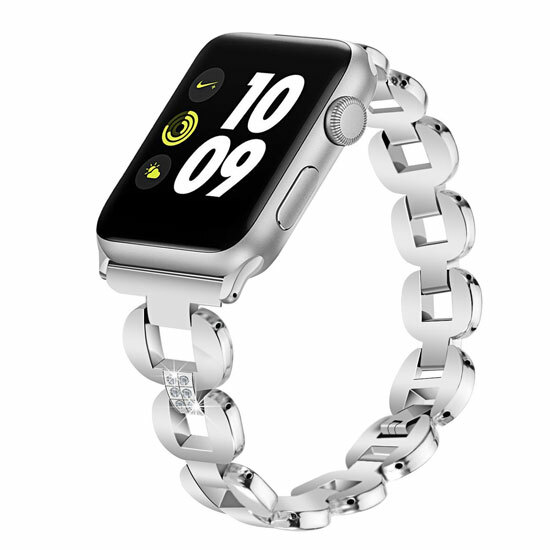 The TreasureMax Stainless Steel Apple Watch Band has you covered. It can be installed and adjusted easily with a screwdriver. The band is compatible with 38mm and 42mm Apple Watch models. Other TreasureMax band styles are also available for Apple Watch. Costs under $15 at this time. Apple Watch Event on March 9, Apple Hiring VR Engineers?